Through her studies in Emerging Markets and Political Science, Sabine Lubbe Bakker (1978, Belgium) discovered what she likes best: telling stories. She took a course called ‘Poldox’ (combining political science and documentary making), during which she made a film about the world of illegal Chinese gambling in Amsterdam. Her passion for the Middle East took her to Damascus to write her thesis titled ‘Brave New Minds’, which dealt with rebellious student movements in Syria. In addition to learning Arabic, organizing debates and writing articles, she made two short films. Nowadays she works as a freelance documentary filmmaker. Shout is her first feature length documentary. Yehuda acquired his extensive professional experience in television production working as a producer for the “Israel Broadcasting Authority”. Between the years 1977-2005 he was involved in producing a diversified range of genres. He coordinated and produces large scale International Broadcasts such as the Saadat-Carter Summit, the Millennium broadcasts, the World Bible Quiz and The Eurovision song contest. He acted as Chief producer in Dramas such as, “The Lady and the Peddler” and as IBA’s Chief Documentary Department producer he supervised the two prestiges slots “The true story” and “Second glance”. After more then 30 years in public broadcast, Yehuda now owns a private production company which specializes both in independent Drama and Documentary production and supplies production services to local [Channel 10] and International broadcasters [ZDF]. Among his credits are: Gaza Strip Withdrawal, the 2005 elections day broadcast and more. Sigal Emanuel was born and lives in Tel-Aviv. She is the recipient of the Mayor of Tel-Aviv Award for Young Artists for her first documentary film “Reut” / a plase of her own which participated in the Docaviv International Film festival held last spring in Tel-Aviv.  This festival is dedicated exclusively to documentary film and is Tel-Aviv’s largest film festival. Sigal is a graduate of the Camera Obscura Film School in Tel-Aviv. She works as a director, editor and photographer. Ester Gould (1975, Scotland) has lived in the Netherlands since she was ten. She studied Film and Theatre in Amsterdam and New York. Having worked in the theatre, she began to focus on documentary films. She has now been in film for twelve years, including working closely together with renowned filmmaker Heddy Honigmann. She has done research, co-written scenarios and worked on the sets of prize-winning films such as Crazy, Forever and El Olvido. She took a Master’s course in journalism to increase her skills as a researcher. Since 2005 she has been directing documentaries, including 50 cents (2007), Sick of it all (2008) and Starring David (2010). For Sick of it all, a short children’s documentary, she won the IDFA Kids & Docs Script Award. Shout is her first feature length documentary. Caryn James writes the James on screenS film and television blog for IndieWire.com and also contributes to other publications, including The New York Times Book Review. She has been a film critic, chief television critic and cultural critic at the New York Times and an editor at the Times Book Review. She is the author of the novels Glorie and What Caroline Knew, and has appeared as a film commentator on CBS Sunday Morning, Charlie Rose, Today, MSNBC and other programs. Kertsner is an award-winning documentary filmmaker – director, producer and editor. Born in Jerusalem in 1956, married with two daughters, Ronit lives in Tel Aviv Israel. After her military service she was admitted to the Cinema Department at Tel Aviv University where she embarked on a four-year course of study. Upon completion Ronit began working as a professional editor of documentaries and features for TV and other media. Ronit has edited dozens of documentary films over the years. For the last 10 years Ronit has directed and produced 4 documentaries: “The Secret” (Berlin Film Festival 2002, first prize at the international Film Festival in Bordeaux 2003); “I the aforementioned infant” (Haifa film festival 2006); “Menachem and Fred” (cinema for peace award, Berlin 2009); and most recently, “Torn” (Docaviv international film festival). Liel Leibovitz is a senior writer for Tablet Magazine and an assistant professor of communications at New York University. He is also the author or co-author of four books, including, most recently, The Chosen Peoples: America, Israel, and the Ordeals of Divine Election, co-written with Todd Gitlin. A native of Tel Aviv, he now lives in Manhattan. Noa Maiman is an interdisciplinary artist born in Tel Aviv, Israel in October 1980. She is a producer, director, actress, and an opinion writer with a vast interest in Politics. She graduated from London School of Economics mastering Conflict Studies. ‘Oy Mama’ – her first documentary film, has won the Remembrance and Future documentary award at the goEast Film Festival, Weisbaden, Germany – April, 2010. It was also a Nominee for the History & Biography Documentary Award at the 16th Shanghai TV Festival, China June 2010 and a nominee at the Bend Film Festival, Oregon, USA – 2010. Dani Menkin is an award winning writer, director and producer of the feature film “Je T’aime, I Love You Terminal” (Israel, Czech 2011), and the creator of the Israeli Academy Award winning film which was also short listed for the Oscar HBO/Cinemax documentary, “39 Pounds of Love”(USA, 2006). Dani collaborated with Ilan Heitner as supervising director of the cult film “The Wisdom of the Pretzel” (Israel, 2002). Among his other success are the documentary “Like Aroesti” (1998), and episodes for The National Geographic Channel and UVDA (1994-2004), which won him awards and increased his popularity. Most recently, Dani collaborated with filmmaker Yonatan Nir on the documentary film “Dolphin Boy”, which premiered at the 2011 hotDOCS Film Festival. 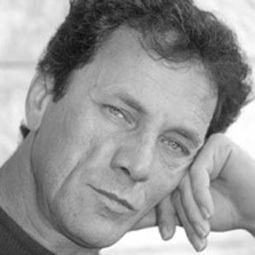 Manassen-Ramon’s work as Director / Producer includes THREE STORIES AND A HOUSE (2005), and RING (2002) which was aired on the Israeli Documentary Channel. She was Manager and Director of the annual Tel Aviv/Los Angeles Master Class in Creative Filmmaking between 2005-2007, working with actors, directors and producers such as Alfred Molina, Jon Avnet (FRIED GREEN TOMATOES) and Cathy Schulman (CRASH) to teach and mentor Israeli and American filmmakers. Over the last few years, Judith has developed a method which employs film as a tool to aid self expression and problem solving for adolescents. Notably, she has worked with young Ethiopian immigrants and various women’s groups. Currently, Judith is doing her PhD in Media Psychology. EITAN ZUR graduated from the University of Tel-Aviv ( Cinema & Television ) in 1992 and quickly established himself as one of the most popular TV directors in Israel. He designed and directed “Chamber Music” (1993-1997 ) and “The Bourgeois”, (1999-2003 ). He directed and co-wrote episodes of the TV series and movies. Among others, Eitan directed episodes of the series “Betipul” of which remake rights are sold all over the world. “Hitpartzut X” will be his first cinema feature. He collaborated in writing the script with Edna Mazia, author of the book, best-seller in Israel and was accompanied by the experienced team at July August Productions.